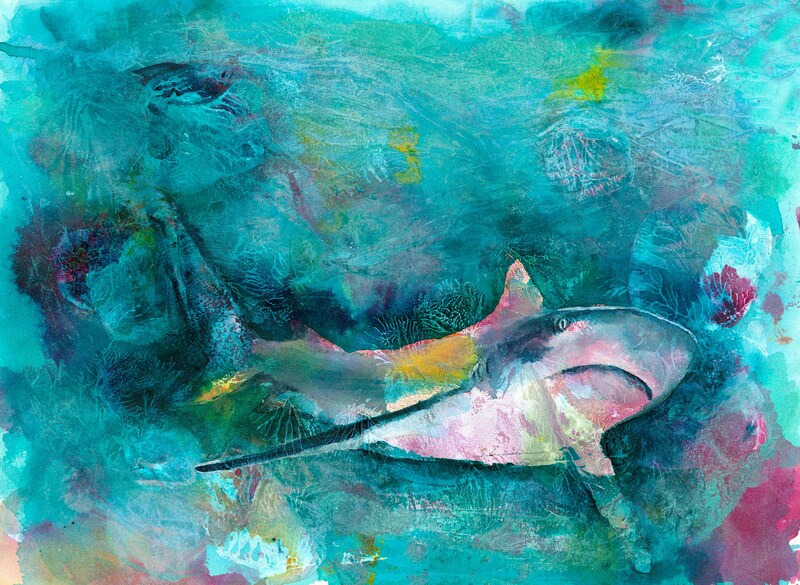 🦈 "Mano 'Aumakua" is an archival print from my original ink & watercolor painting. 🌊 Mano means shark in Hawaiian and an 'Aumakua is a personal and/or family guardian. A symbiotic relationship exists between person and ʻaumakua, the personal guardians of each individual and their family and the ancient source gods from whom Hawaiians were descended. ʻAumakua can manifest in nature. The form varies family to family. Whatever its form, the ʻaumakua is one specific sea turtle, shark, owl, etc. However, all members of the species are treated with respect of family members. 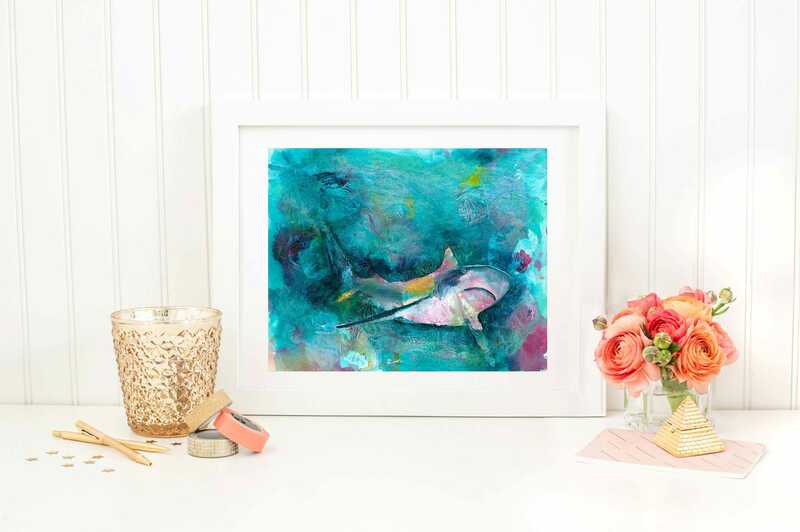 🌺Print comes unmatted and unframed with a small white border. 🌺This giclee print was created to high standards of reproduction with materials tested by the Fine Arts Trade Guild to resist fading and discoloration in excess of seventy-five years. For maximum longevity, this print should not be displayed in direct sunlight.